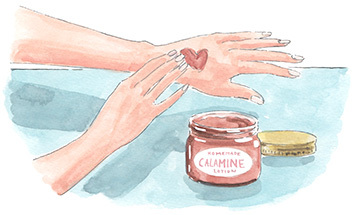 Calamine lotion can be used to treat anything from nasty sunburn to poison ivy to itchy bug bites. It’s incredibly useful for anyone but particularly those who like to explore the outdoors, or kids that like to bushwhack through whatever they can. Anyway you spin it, a little jar of calamine can be a life-saver. While store-bought calamine lotion doesn’t have the poor chemical ratings of other over-the-counter lotions, replicating it at home costs a fraction of the price once you’ve gotten the ingredients. Plus, regardless of whether or not the ingredients are extremely bad, there’s something to be said for the peace of mind and wholesome feeling you get from making something from scratch. Don’t be intimidated by the ingredients-they’re much easier to get than you might think! 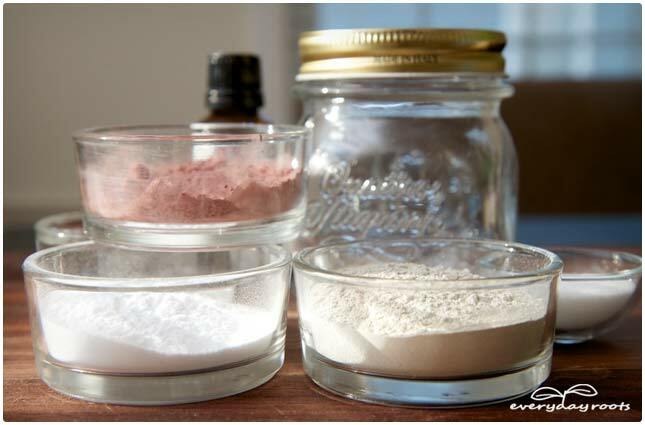 Ingredients: Bentonite clay, baking soda, sea salt, essential oils, glycerin (optional), pink kaolin clay (optional). Why bentonite clay: Bentonite clay is a base used in a lot of dermatologic formulas, and is currently being studied for use in battlefield wound dressings since it seems to help them heal better. It also acts as a shield against urusiol, which is an oily organic substance found plants such as poison ivy and poison oak. 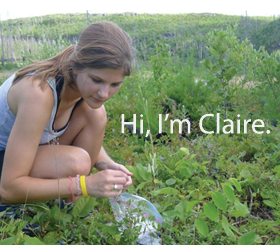 If you happen to encounter poison ivy or something of the like, applying benotonite clay afterwards will draw out the oil, thanks to its unique way of binding elements. Why baking soda: Baking soda is alkaline, which means it’s the opposite of acidic. When you suffer from a bug bite or something of the like it is higher in acidity. Adding baking soda neutralizes the acid and thus relieves the uncomfortable itchiness and irritation. 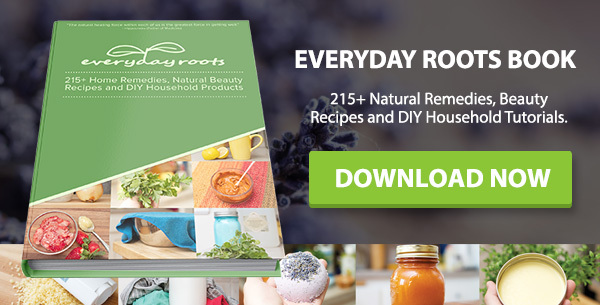 Calcium hydroxide is what is used in store-bought calamine, and you can track it down, but baking soda is much more common and does essentially the same thing. Why tea tree/essential oil: Essential oils do more than just make things smell good-certain ones like tea tree or lavender are great at soothing itchy, inflamed, skin. Why sea salt: Sea salt sloughs away dead or dying skin cells and can help relieve swelling, inflammation, and any matter of infuriating itchiness. 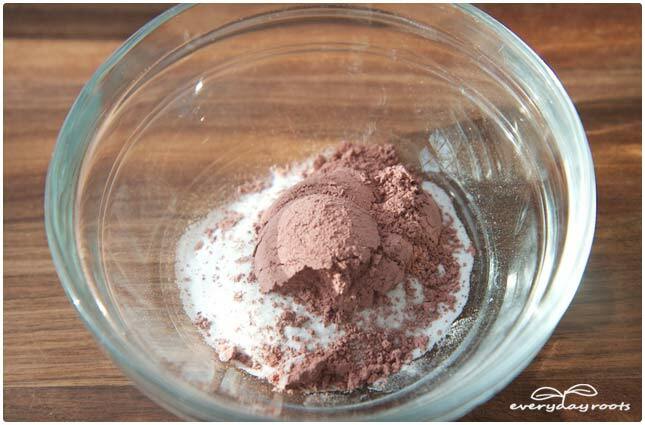 Why pink kaolin clay (optional): Kaolin clay is great for people with sensitive skin, and is a very gentle exfoliator. 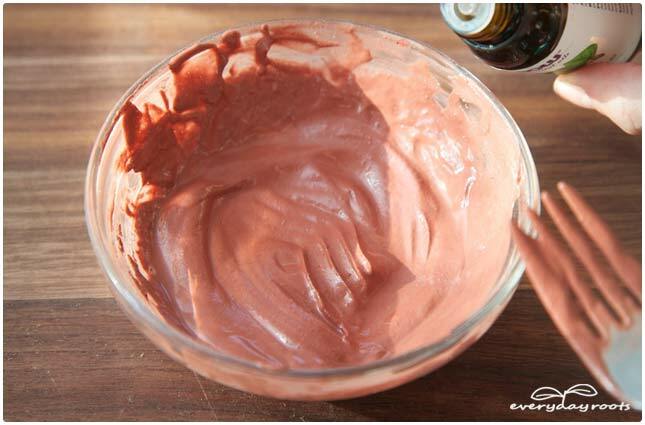 It does not draw toxins out with the same force as bentonite clay, although it does help, so we use it here mainly to add the pink color to calamine without iron oxide, and to make the lotion that much more effective. Why glycerin (optional): The glycerin makes the calamine a little smoother and softer, as it traps in moisture and also draws moisture to your skin. Note: You can add any essential oils that are known to be good for skin care. Common ones include eucalyptus, lavender, chamomile, and tea tree. Feel free to make up a combination or stick to using one. 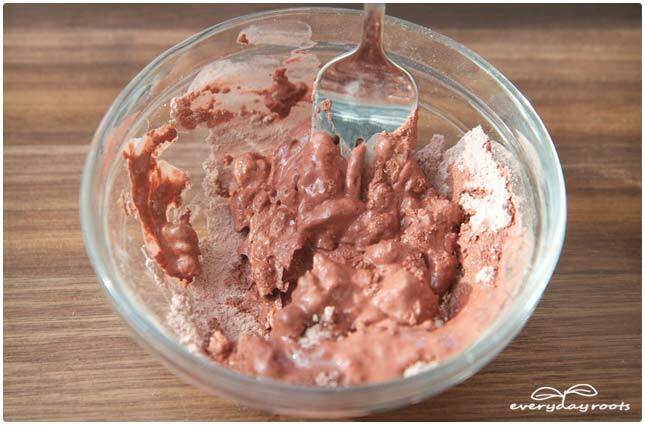 In a small bowl, whisk together the baking soda, salt, bentonite clay, and the kaolin clay if you’re using it. Add water, stirring constantly, until a paste starts to form. Continue to add water until desired consistency is reached-I usually use around a quarter cup, but it will depend on whether or not you include the pink kaolin clay. Add in your essential oils at this point, and the glycerin if you’re using it. 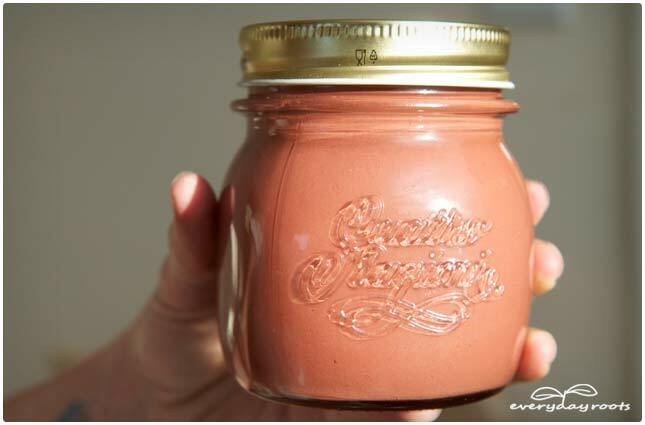 Stir until thoroughly blended, and store in a glass jar with a tight fitting lid. You can keep this in the refrigerator for up to a week, but an easier way is to simply keep a jar of the dry ingredients blended together on hand. Then, when you need it, take a small spoonful of the powder and just add enough of the liquids to make your lotion as needed. 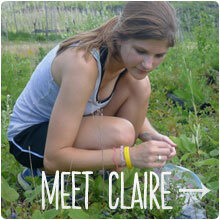 A special thanks to Nourishing Joy for giving us the inspiration to make our own Calamine lotion. 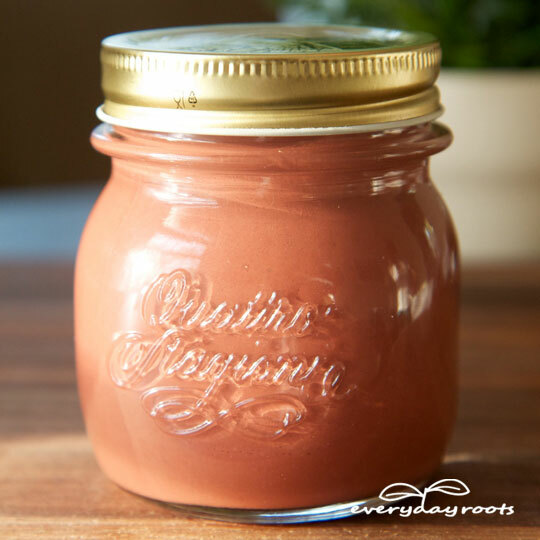 If you happen to be looking for a great toothpaste recipe, check out her homemade cinnamon nutmeg toothpaste. The next time you find yourself covered in itchy bug bites or a bad rash, apply your homemade calamine lotion as you would store-bought. The relief it brings, and the peace of mind, is well worth the little bit of effort it takes to make. Relax a little & soothe yourself to sleep with our Homemade Lavender Sleepy-Time Lotion. I adore my cabin way up north but the mosquitoes in Minnesota, those parts in particular, are just Jurassic. I don’t think I could survive the results of braving those beautiful wooded trails at sunset without a little jar of this on hand every year! Why can it on keep for 1 week? Any product with water in it will allow/encourage growth of Microbes like mold and bacteria. That is why shelf-stable products use preservatives. In my personal experience, natural products typically keep longer in the fridge than the recipes say, but they will eventually mold or spoil. The idea of mixing the dry ingredients and adding water as needed is a great one. Hi — This is great. Thanks. My understanding is that glycerin helps the skin retain moisture, but with poison ivy don’t you want to dry out the area? What is the benefit of using glycerin in this recipe? THANK YOU! 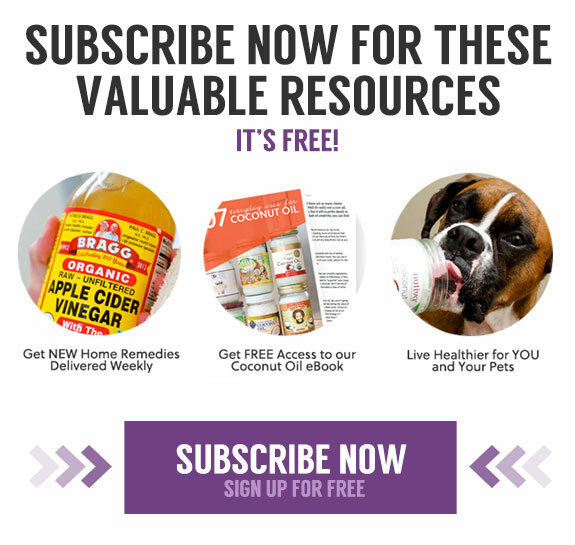 Can i substitute Epsom salt? I don’t understand why you’re calling this calamine? Its not calamine at all. 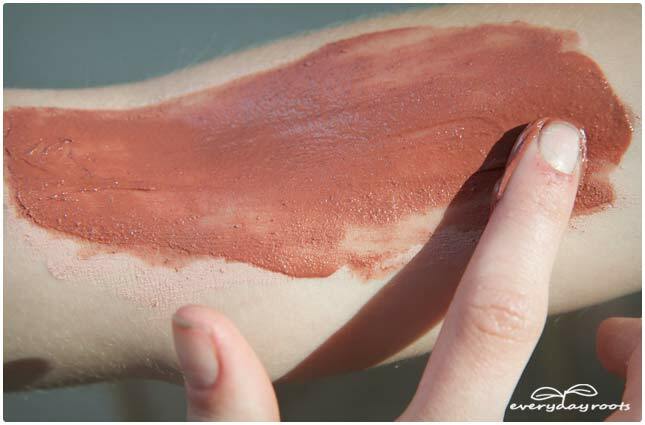 Calamine is zinc oxide and a little bit of iron oxide which gives the pink color. Zinc oxide is also whats used as the active ingredient in diaper rash creams. People can easily buy zinc oxide (most avoid nano size) powder to make homemade calamine, as well as using it to make a homemade sunscreen and diaper cream, as well as including it in homemade body powders, lotions, and body butters to add skin soothing. Wish I had found this recipe 2 days sooner! I managed to use clay, sea salt, water and capsaicin and this helped the ‘million’ ant bites. Tomorrow I will purchase the other ingredients and mix a dry batch using your much better recipe for future use. Thanks!!! Will rush to the store at break of dawn to get ingredients to make it. This itch is driving me nuts. I think changing my laundry detergent is the reason. Thanks. Will let you know results. Not purposefully being negative — I admire anyone who wants to take the trouble and time to make their own products…. but …. I just bought a bottle of calamine lotion at the dollar store for $2.00….. just saying. I’m using it on my (adult) acne and it works. I have used many cleansers, natural products, prescribed medication and otc preparations and have never gotten the results I have from calamine lotion and fast, I might add — dried it up – and I continue to use it here and there if anything even looks like a bump. Made it and my daughter says it burns. Suggestions? I think the ingredient that made your daughter feel a burning sensation was probably from the tea tree essential oil. It will have more the burning feeling if she has any open wound from scratching. Otherwise the clays and baking soda are usually soothing to burning skin. Hope you found something that helped.